As massive amounts of rainfall associated with Hurricane Harvey caused severe flooding in Houston, Texas and other areas of the state, federal officials worked closely with state and local officials on rescue and recovery efforts. 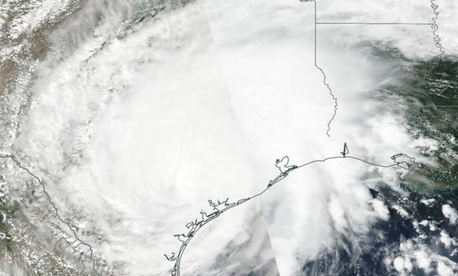 “This will be a devastating disaster, probably the worst disaster the state’s seen,” Federal Emergency Management Agency Director Brock Long told The Washington Post Sunday. Federal support to the response effort is being coordinated by FEMA’s National Response Coordination Center in Washington and its Regional Response Coordination Center in Denton, Texas. On Saturday, FEMA reported that six federal task forces under the auspices of the National Urban Search and Rescue System, involving more than 400 personnel, were staged in San Antonio, Texas, and were prepared to support local officials. The agency activated the National Emergency Medical Services contract for 100 ambulances, and Mobile Emergency Response Support personnel and equipment were dispatched to Texas and Louisiana to provide voice, video and information services. The Agriculture Department is running an operations center and offering a Disaster Resource Center in partnership with FEMA. The Bureau of Safety and Environmental Enforcement helped with efforts to evacuate people from 89 production platforms and four drilling rigs. Coast Guard damage assessment teams are evaluating the effects of the storm on ports from Houston-Galveston to Corpus Christi. The Corporation for National and Community Service has deployed more than 150 AmeriCorps members to the area to support American Red Cross shelter and feeding operations. The Energy Department is providing situation reports on the storm’s impact on the energy sector. The Environmental Protection Agency is monitoring the fuel supply situation. Health and Human Services Secretary Tom Price declared a public health emergency in Texas and sent more than 300 medical professionals to affected areas. The Federal Protective Service has deployed personnel and equipment to support emergency response efforts and protect federal facilities in the region. On Friday, Texas Gov. Greg Abbott mobilized about 900 members of the Texas Army National Guard and Air National Guard and the Texas State Guard with the Texas Military Department for response efforts. On Sunday afternoon, FEMA’s Long announced in a news conference that 19 Texas counties had been declared disaster areas by the federal government. “I do expect adding more counties to that list,” he said. A total of 50 counties fell under state disaster declarations. In a series of tweets, President Trump praised the ”great talent on the ground” and trumpeted the “wonderful coordination between Federal, State and Local Governments in the Great State of Texas - TEAMWORK!” Trump pledged to travel to Texas as soon as a “trip can be made without causing disruption.” The White House said Sunday afternoon the visit would take place Tuesday.